Iron Studios has opened up pre-orders for a Lord of the Rings – Nazgul 1/10 Art Scale Statue. This release will join their recently revealed Gandalf Statue in the statue line. The statue stands at 10.6″ tall from base to top of the sword, and is cast in polystone with a diecast metal sword. This release will be part of a larger diorama with upcoming Frodo and additional Ringwraiths. It’s priced at $99.99 and should be released between July and September. Pre-order at the link below and see the new photos by clicking the headline of the story. Lord » Continue Reading. 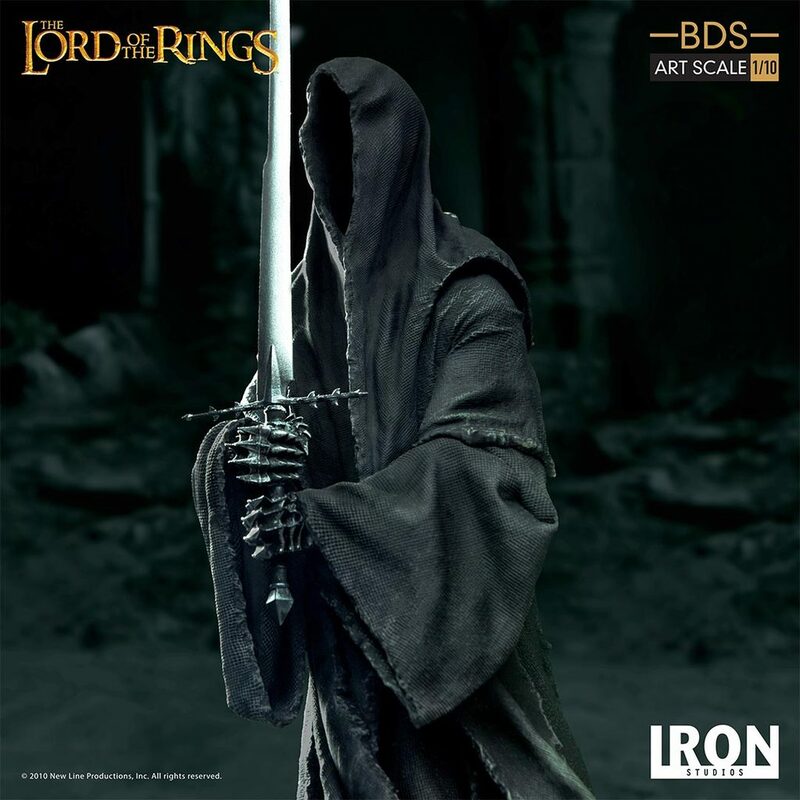 The post Lord of the Rings Nazgul Statue by Iron Studios appeared first on The Toyark – News. Coming Soon from Funko: Patina Stan Lee Pop!